Preheat oven to 200°C (400°F). Heat the oil in a medium non-stick frying pan over high heat. Add the onion and garlic and cook for 3–4 minutes or until lightly golden. Place in a large bowl with the zucchini, parmesan, flour, salt and pepper and mix to combine. Make a well in the centre, add the eggs and mix to combine. 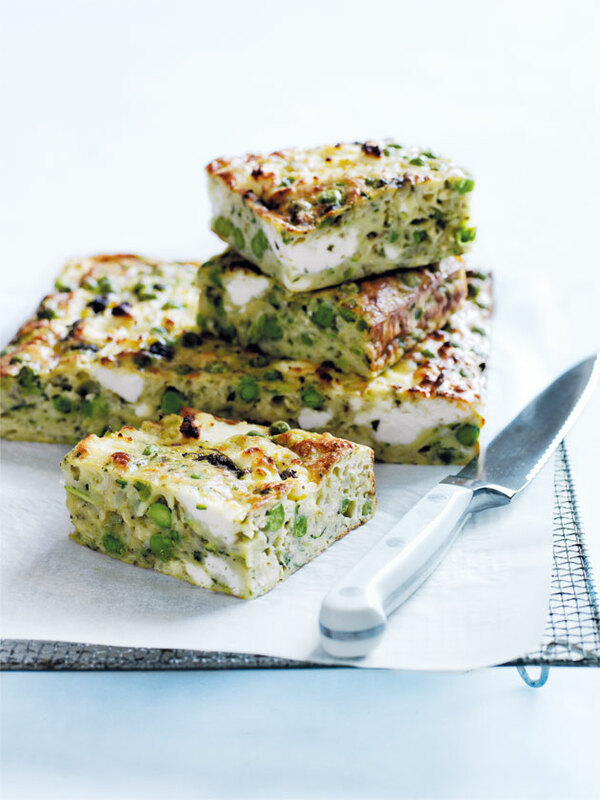 Fold through the ricotta, peas and pesto and spoon into a lightly greased 20cm x 30cm tin lined with non-stick baking paper. Bake for 25–30 minutes or until golden and a skewer inserted comes out clean. Allow to cool slightly and cut into slices to serve. Serves 8–10.